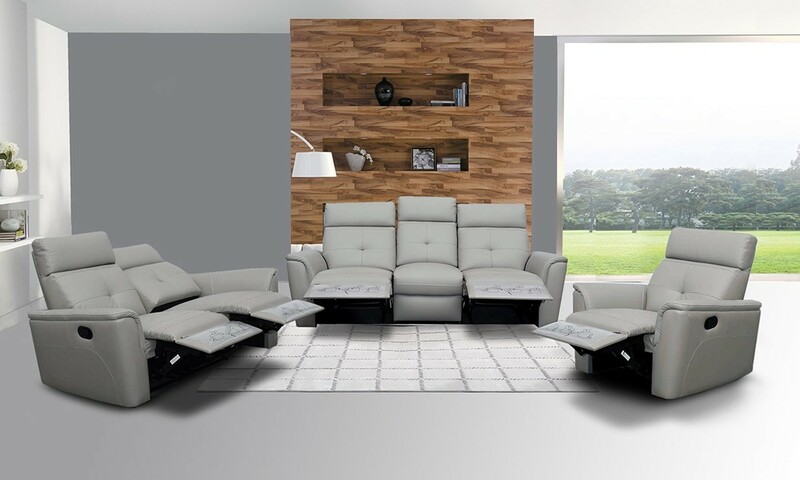 The sleek modern style of 8501 reclining living room set is manufactured by ESF. Full grey Italian leather is all around, adjustable headrests and modern tufted leather design. 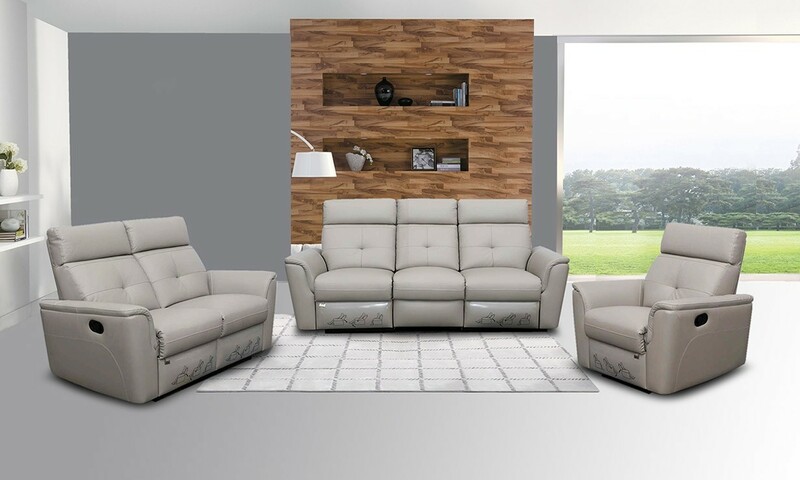 Dual reclining sofa, loveseat and a recliner chair are very comfortable with the seats sliding out so you don't need lot of space between the wall and the set.